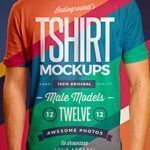 “Premium Female Tees Real Mockups” – This graphic resource gives you a quick & easy possibility to apply your artwork, text, image, logo and every kind of graphic on a woman t-shirt weared by a model. You just need to replace them into the smart object. Create a great apparel showcase for your website, a facebook cover, a clothing magazine or a fashion website banner. 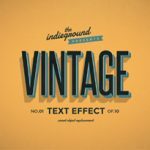 This offer include 3 female models, black & white, each in 4 different poses and also the “Vintage Distressed Effect” that applies on your artwork to give that cool vintage touch to your tees.